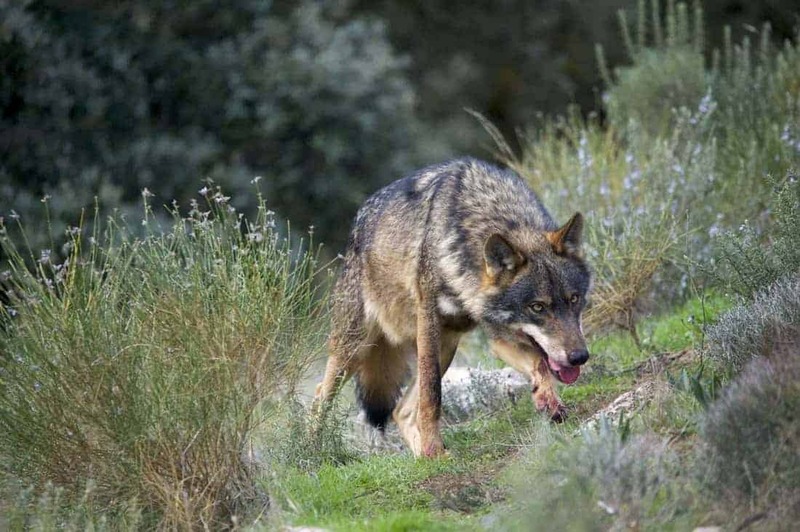 After 134 years of absence, Gray wolves were seen again in Austria. Since 1882 there were no records of wolves living across the Austrian lands. Today, we can surely say there is a wolf family settled in Austrian: a wolf pair and two pups were spotted. Just like in Germany, the wolves have chosen a military training ground in Austria’s north-eastern province of Lower Austria. to raise their new born cubs. The grey wolf was among Europe’s most widely distributed mammals, but due to people’s fear for their livestock and economic interests this carnivore species has become extinct across much of its former range. Since the fall of the iron curtain, the wolf with the help of legislative protection has staged an incredible return. Where the wolf has returned, the biodiversity and the natural processes are restored much more efficiently then anywhere else. With the return of the Wolf, century old fears have also resurfaced, most of them being myths. Wolves for example do not attack humans unless they have been wounded or are infected by rabies. Wolves are curious animals and some of the most efficient hunters alive. They have respect for electrical fences and they do not jump over them, but rather dig underneath them. Single animals pose a higher risk to small mammals like sheep that wolf packs. A wolf pack consists of a family over three generations. Once the cubs reach their third year they leave the pack and start their own family. The reproduction rate is limited by the availability of food. Wolves are long distance travellers and can trot up to 100 km a day and sometimes even more. Larger wolf populations exist in Poland, Germany, Slovakia, Romania, Spain, France, Switzerland, Italy, the Baltic nations and in the Scandinavian region. Wolves have been seen in the Netherlands and Denmark already. Camera traps do not only help us gain important information about the large carnivores coming back to the European forests, but they can also serve as a protection against their shooting, poisoning and harm, which is illegal in the EU. The return of the wolves to Austria has raised concern by uninformed farmers, hunters and sheep ranchers. Immediately after the first reports were confirmed, demands for ensuring a wolf free alpine region were voiced loudly. The main unproven argument being that wolves damage the agricultural sector. Also in Hungary, with a photo trap, a wolf pack with 8 cubs playing in the forest was filmed during daytime. This unique video marks the success of the efforts to save the natural habitat of large carnivores also in Hungary. These cubs are going to leave their mother at the beginning of October, at the start of the hunting season, which will make them vulnerable to illegal shootings and human harm. Wolves are strictly protected in Europe and are not allowed to be hunted.